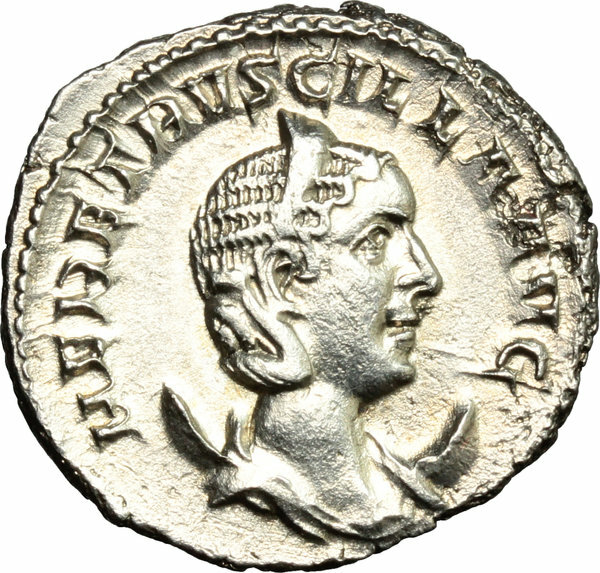 Etruscilla, wife of Trajan Decius (249-251). 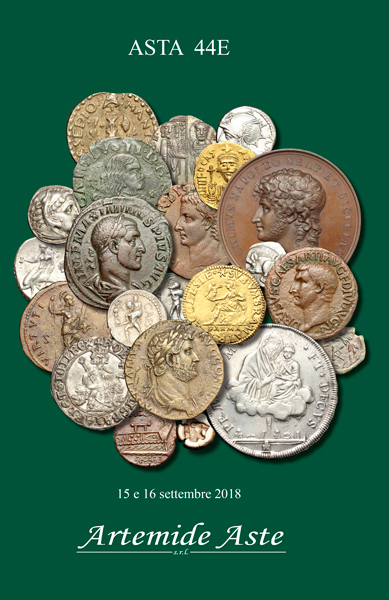 AR Antoninianus, Rome mint. Obv. HER ETRVSCILLA AVG. Diademed and draped bust right, on crescent. Rev. FECVNDITAS AVG. 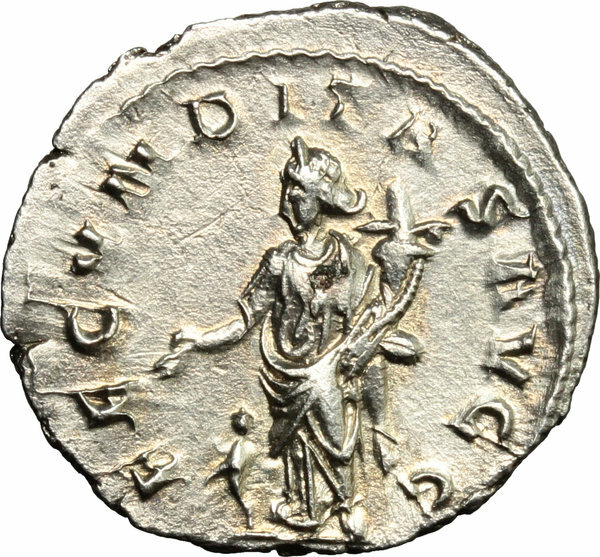 Fecunditas standing left, holding cornucopiae; child below her right arm, standing right at her feet. RIC (Trajan Dec.) 55 b. C. 8. AR. g. 3.87 mm. 21.50 Great metal. Lustrous and superb, with lovely iridescent tone and golden hues. EF.